‘We are dealing with a brutal employer who does not care about workers or their rights,’ says a spokesperson. 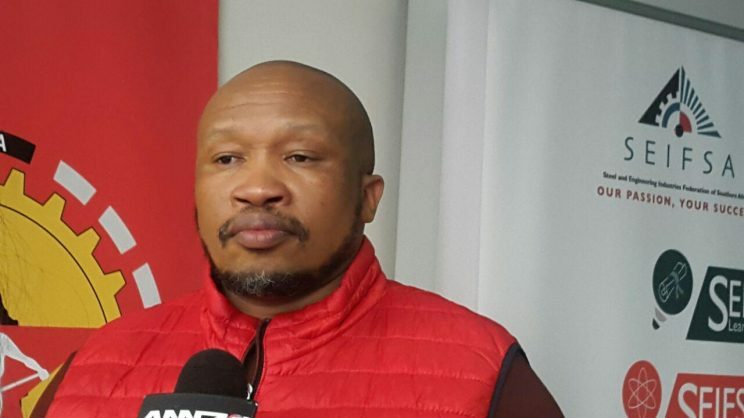 Following a meeting with the CCMA, the National Union of Metalworkers of South Africa (Numsa) said on Tuesday that the strike at ArcelorMittal South Africa (Amsa) would continue. Numsa spokesperson Phakamile Hlubi-Majola said: “[Numsa] met with [the] CCMA yesterday in an attempt to resolve the strike at [Amsa]. We were unable to find one another with the employer. We have no choice but to continue the strike. We are dealing with a brutal employer who does not care about workers or their rights. Numsa said they had met with the CCMA on Monday and one of the major sticking points was that Amsa had refused to insource contract workers. Hlubi-Majola said their members had been on strike at all Amsa operations since last week Monday. The strike was a national strike affecting all its operations, including Vanderbijlpark and Vereeniging in Gauteng, Saldanha in the Western Cape, and its operations in Newcastle in KZN.